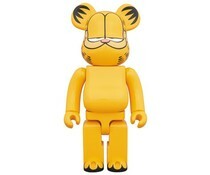 The iconic BE@RBRICK brand has teamed up with legendary graffiti artist Stash for this limited BE@RBRICK! The colossal 27.6” 1000% figure features Stash’s world-famous graffiti caps design along with his signature in blue and white on the chest and a blue “S” on the left eye, as well as paint splatter and a graffiti tag on the back. 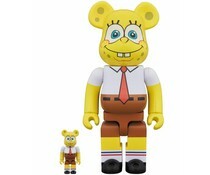 The 1000% Bearbrick - Stash is a limited edition.